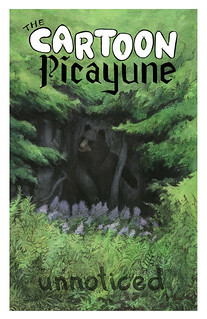 Issue #3, the Spring 2012 Cartoon Picayune, has just arrived back from the printers and orders are now available for sale in the site shop. Isn't it a beaut?! Also Issue #1 has been reprinted locally and all three comics are looking real nice these days. Each issue is now available for $4, with shipping for only one dollar more. "A growing number of artists and writers are creating reported, researched, factual work these days, and a doing brilliant, memorable job of it. They're also finding an audience, and that audience wants more! So Josh Kramer has tapped into something significant by making The Cartoon Picayune a new home for this vibrant subgenre, and he keeps proving it with each issue." The Spring issue officially goes on sale this weekend at the Toronto Comics Art Festival, and I'll start mailing out orders when I get home next week. Subscriber copies are already in the mail. Just a reminder, subscriptions are available for two or four issues, with extra goodies thrown in. You can expect complete notes and bibliography from Andy's piece here soon, plus a Q+A interview with artist Ethan Leners soon as well. If you're interested in the intersection of comics and journalism, two guys you're going to want to learn about immediately are Darryl Holliday (pictured left) and Erik Nelson Rodriguez. 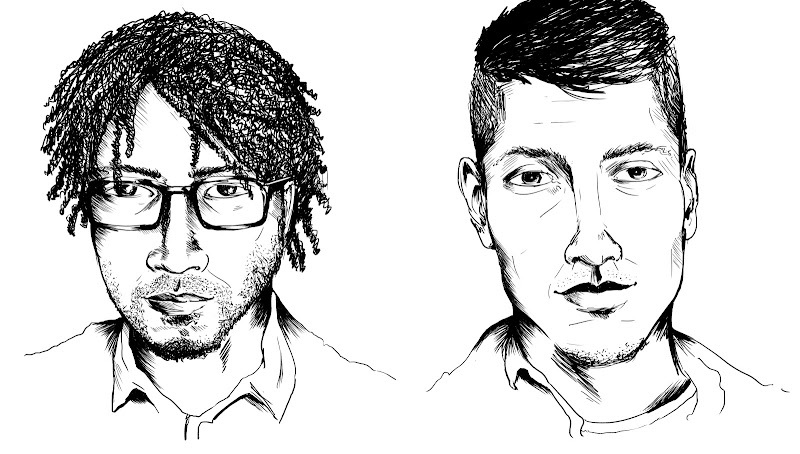 These guys live in Chicago, where they are pounding both pavement and drawing board, respectively, at illuspress.com. 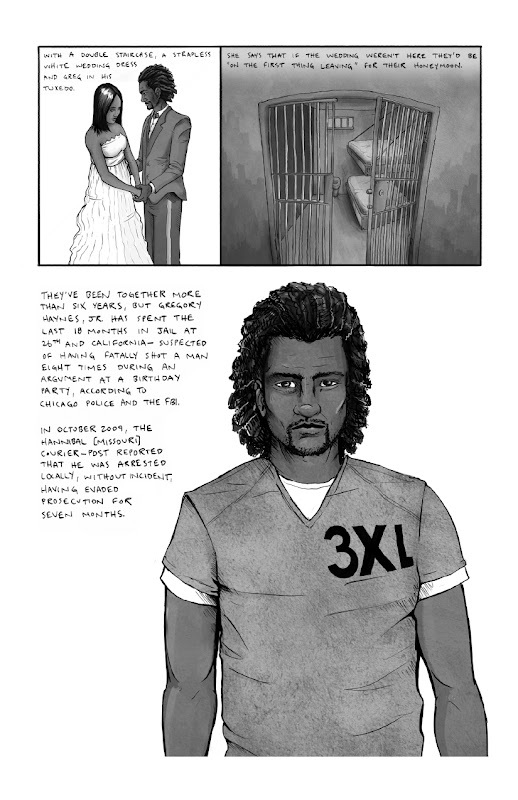 They have a piece called "Wedlock: Love and Marriage at the Cook County Jail" that starts the next issue of The Cartoon Picayune, Spring 2012, out in May. Help them raise money for their new book over here. Josh Kramer for The Cartoon Picayune: You guys collaborate in the traditional sense in that you, Darryl, write the words, and you, Erik, draw the pictures. Can you talk a little about how you started doing this and how you do it now? Darryl: We started while I was interning at the Chicago Sun-Times. A few lines in one of the paper’s stories mentioned the county jail weddings, and I was pretty much hooked. I’ve been reading/collecting comics since middle school and eventually realized they were the answer to my problem of how to cover the story effectively. I can’t draw to save my life, but I knew that Erik (we were former co-workers at our school paper) could, and that he also liked comics. It sort of just went from there. Erik: Collaboration begins right off the bat; we go out and cover stories together. Darryl usually plays his role as reporter—asking questions and finding people that seem to play key roles in the story—while I document everything using a camera and sketching out what we decide might be important later. Once we have a script down, we get started on story boarding and sketching out general profiles. Darryl: The script gets whittled down and shifted as the panels are laid out. The whole process really hasn’t changed. We both have an influence over the other’s input. So, I guess it started off organic and it’s basically the same now. CP: I know you guys are doing some freelance, both with comics and traditional news. 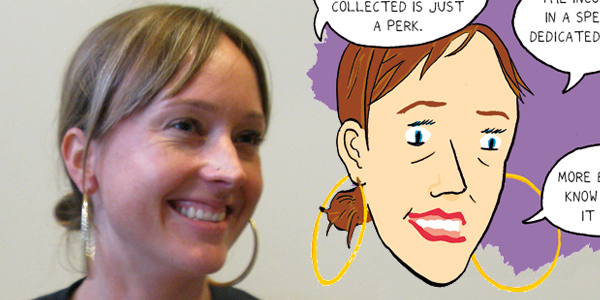 How would you describe your experience freelancing your comics work? Do editors know what to do with it? Erik: I think because the medium is so new, editors don't really know what they want out of it yet, the best we can do is try to cover a great story so that it’s understood as journalism and art. Darryl: I agree, but I’d also say that it’s gotten a good reception. People, including most editors that we’ve worked with, seem to respond well to accurate journalism with a new media approach. CP: Your story takes place in a correctional facility. What initially attracted you to this story? Was the idea of shining the spotlight inside jail appealing, or just the idea of this unusual story? Darryl: I actually thought it was interesting for both of those reasons. When I first learned about the ceremonies the idea of it became a sort of odd curiosity. I had done a few metro news stories about the jail; more along the lines of the inherent problems that come out of imprisoning whole segments of people. 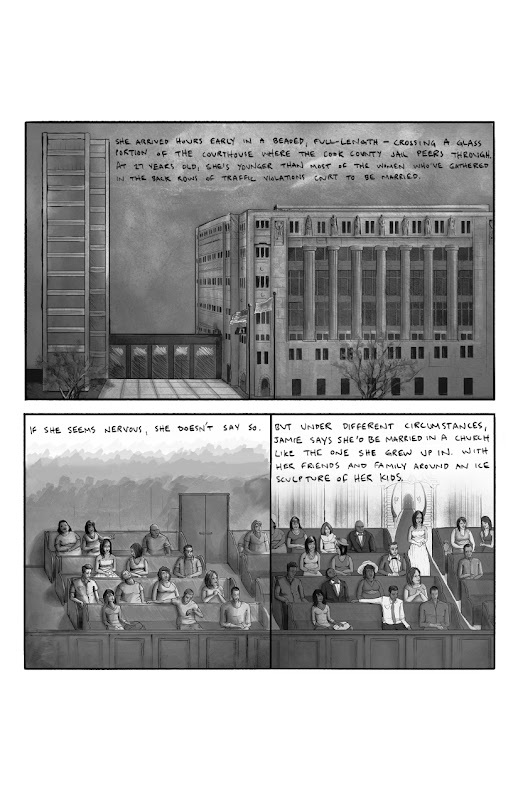 The idea of weddings taking place in those same courthouse rooms seemed like a nice mix of good and evil…figuratively. CP: I think my favorite party of your piece is that I'm left with an uneasy empathy for the main male character. I don't want to like him but I can't help but feel happy for him. Did you have some idea of this before you wrote the story and was it important for you? Darryl: I guess there was definitely some idea of it, but I think it was more that we knew that the subject matter was fascinating all on its on. I think when I saw Jamie seeming to contrast with the entire moment in her pink wedding dress was what made the connection really click for me. Erik: I like that the story evokes emotion for people that would usually fall into a stereotyped class. 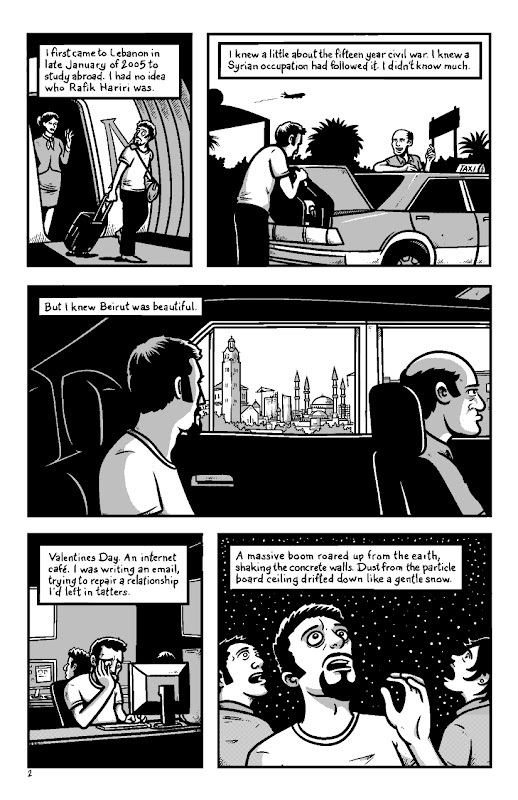 That we got to portray those empathetic feelings in such a short comic showed what graphic journalism can do that traditional journalism can’t. CP: This was an early piece for you guys, and you've done a lot of work since. Are you still able to look at this and not wince? Anything you would have done differently or if you had more space? Erik: We were still working with lettering at that point. 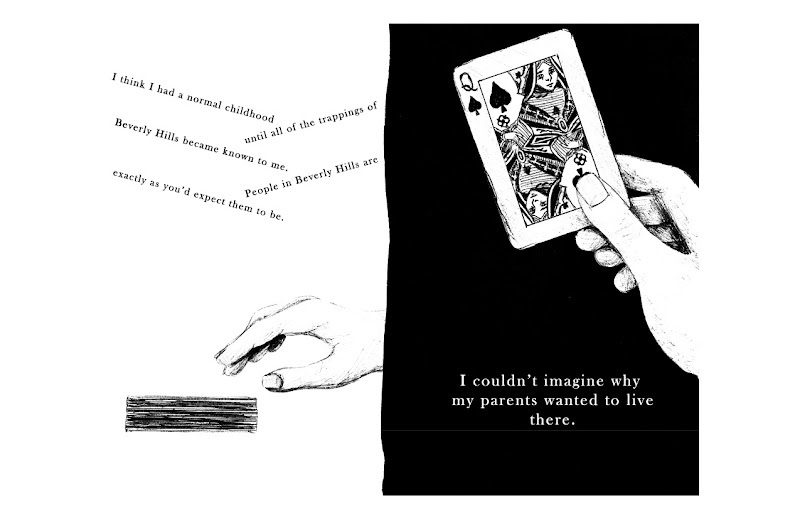 We couldn't decide if we wanted to create a font or find a letterer. Darryl did the lettering for that story, but we didn’t get size right. We later found out that fitting a lot of story into small spaces required shrinking the text or being more intentional about space. But by then it was too late and we had to stick with small text. That’s really the only regret I have with this story. CP: You guys are great, I wish I could pay you for this excellent story. I'm working on it. How do you guys support yourselves and still have time to make such laborious art/journalism? Erik: I do art and design work for various publications to pay the bills. Darryl: And I write for news outlets around Chicago. We both pretty much take what we each do with comics journalism and use it to try and avoid poverty. My student loans aren’t going away any time soon, but being 25 in a big city helps; we’ve still got some time to do experiments and, hopefully, turn the things we already like into jobs. CP: I understand that you guys have an exciting project coming up? Darryl: We plan to keep working with other journalistic outlets and posting at our site, but all of this really started as an idea for a comics journalism book. 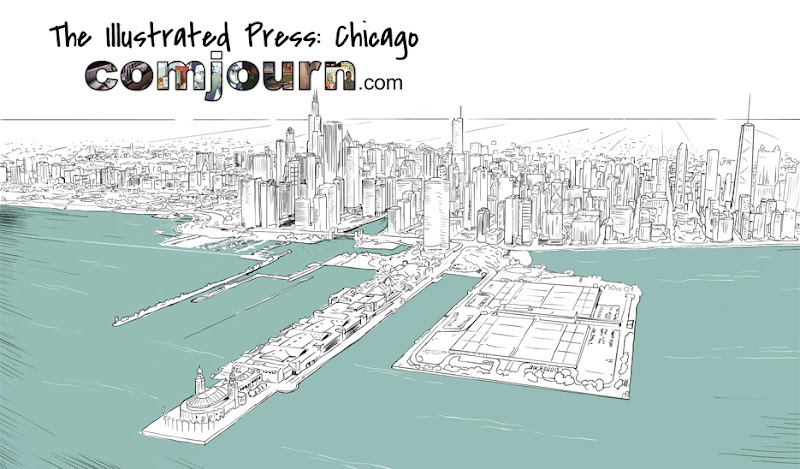 So, we’ll be printing our first compilation, “The Illustrated Press: Chicago” in July/August, partially funded through a completion grant from the Albert P. Weisman foundation and a Kickstarter campaign. Thanks to both Darryl and Erik. 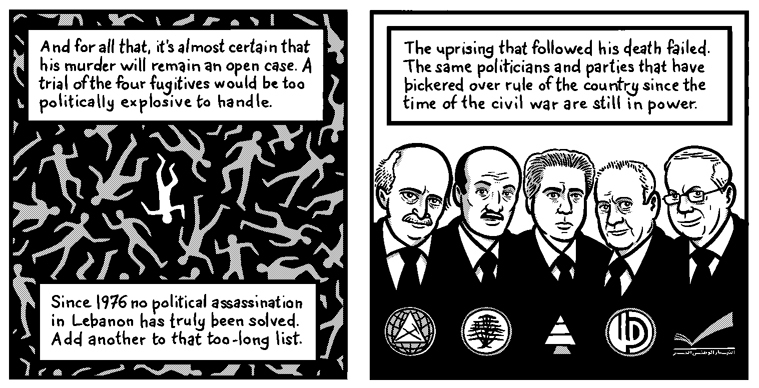 They retain all rights to all images, including the panel from the black and white version of "Wedlock" set to appear in The Cartoon Picayune. Back again, and with plenty of exciting news. I'm doing a spring cleaning of sorts here at the site. There's a new color on the background (no, this isn't for awareness of anything, we have this thing here about our cherry blossoms) as well as severe edits to the text on a few of the pages. I know, right? This cover is by Andy Warner, who is also contributing the main story of this issue. 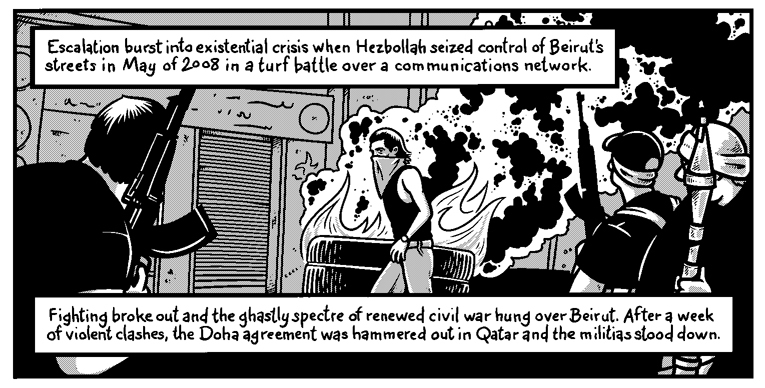 It's an incredible insight into the part of the world that we tend to know the least about as Americans — the Middle East. 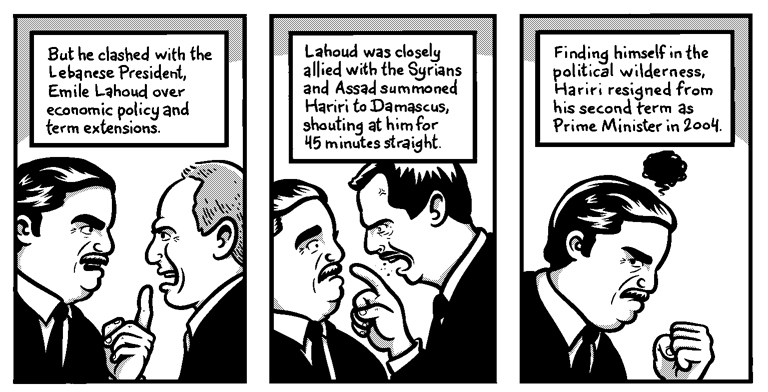 His grasp of the issues at play are possibly only outdone by his skills as a cartoonist. I'm also excited to have a piece from Chicago duo Darryl "Lee" Holliday and Erik "Kirby" Nelson Rodriguez. Their commitment to the journalism is impressive and inspiring, and they know how to tell a pretty good story. You can find more about them and their and forthcoming book here. Finally, I have some work from a student also in Chicago named Ethan Leners. 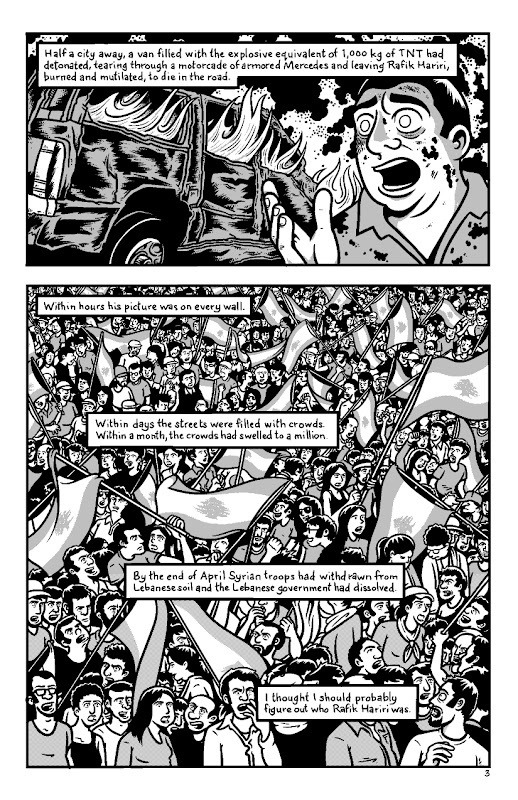 He eloquently presents an interesting angle on a familiar story, and the resulting comics look unlike anything else I've published so far. I'm also in this issue, but only for two pages! I'm thrilled to mostly backseat drive on this one, and watch this thing actually turn into a vibrant anthology. I think this issue is a nice mix, and the next one is shaping up nicely as well. More info on each to come! My story about the bag law in Washington D.C., is now available on the website of the City Paper. Above is Emily Rice, Environmental Protection Specialist and focus of the piece. Here’s some additional information I gathered in my reporting that I couldn’t fit into the piece. I hope it helps place the comic in context. Much of the confusion about the law seems to stem from inconsistency in businesses charging the required five-cent fee. According to Rice, many stores initially did not know whether or not the law applied to them. 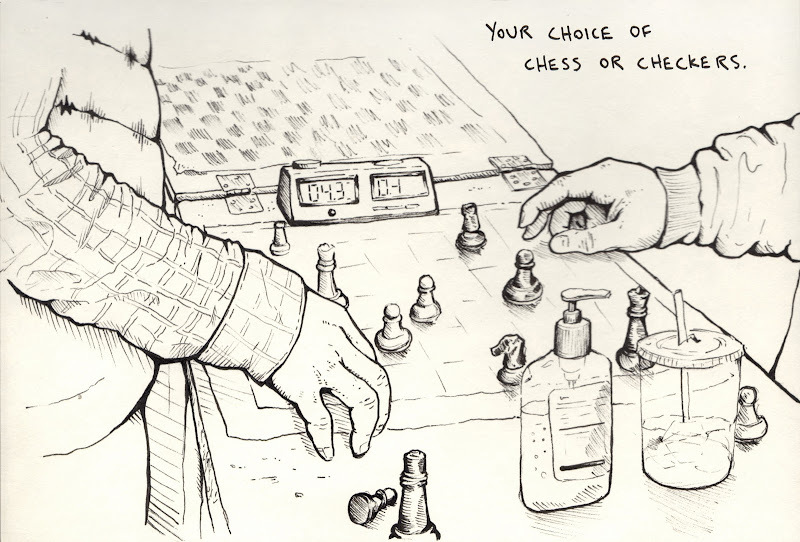 “A hardware store maybe has food at the check-out counters,” Rice offers as an example. Indeed, every "retail establishment” that sells food or alcohol in the District of Columbia is affected under the law, passed in 2009. This delay in enforcement may account for some of the confusion, as well as the fact that the law itself is confusing. There are different rules for different kinds of businesses. “A retail location with seating doesn’t have to charge for paper bags,” notes Rice. Many businesses also wrongly believed that the law had instituted a flat bag tax on every transaction that could be passed along to every customer. Rice was quick to point out that law mandates a choice and a fee for choosing a bag. “I know there’s cashier discretion, so that’s a big problem,” says Rice. Finally, the confusion may stem from the fact that Rice is just one inspector, and that there are nearly 5,000 business affected by the law. “I’m the only person working full time on this,” she says. Part of Rice’s job involves inspecting businesses, either because she believes they are violating the law,or as part of a random check. “I just go in and act like I’m a real person,” says Rice. “The difference is that when I’m doing the transaction, I ask for a bag, in advance.” If Rice finds the business to be operating in violation of the law, she sends a warning letter on behalf of the District Department of the Environment. After the warning letter is sent and the business still takes no action, there’s a civil penalty. The first one is $100, then $200, and then finally $500. Only one business has been fined up to $500. I also asked Rice about Safeway’s allegation that they have seen a rise in theft since the law took effect. “My personal view is ‘thieves are gonna be thieves, I don’t think that’s a good argument against the law,’” Rice says. She also noted that she had not seen security guards checking receipts while on her inspections. Thanks to Emily Rice and the District Department of the Environment as well as Tim Lake, Sophia Kruszewski, Shani Hilton, Mike Madden, and the Washington City Paper. Everything's new and exciting around here. My story on D.C.'s bag law is in today's Washington City Paper. The link isn't up yet, but I'll post it here when it is. Pull the paper out of any free box in the DMV to read it in print. 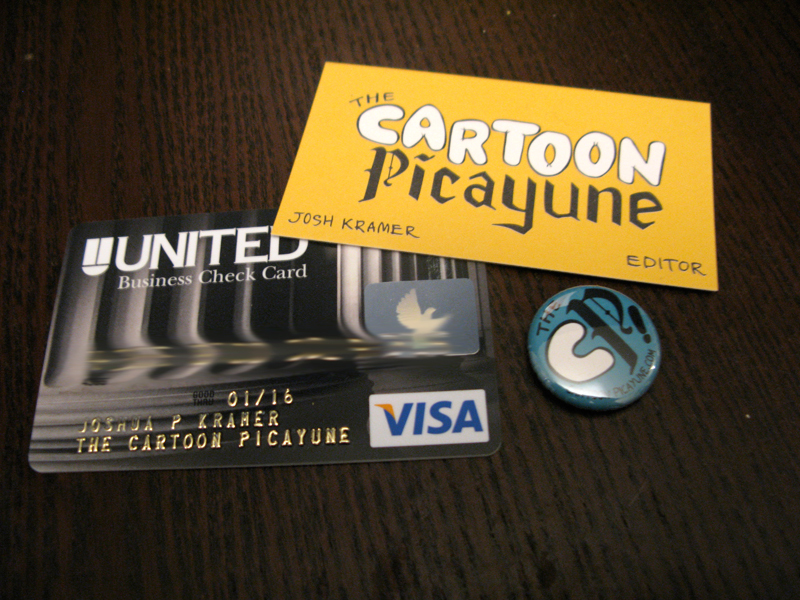 Also, "The Cartoon Picayune" now has its own bank account that you can write checks to (and you better believe I have one of those really wide business checkbooks). Finally, two new professionally printed promotional tools arrived in the mail: vibrant new business cards and one-inch buttons. 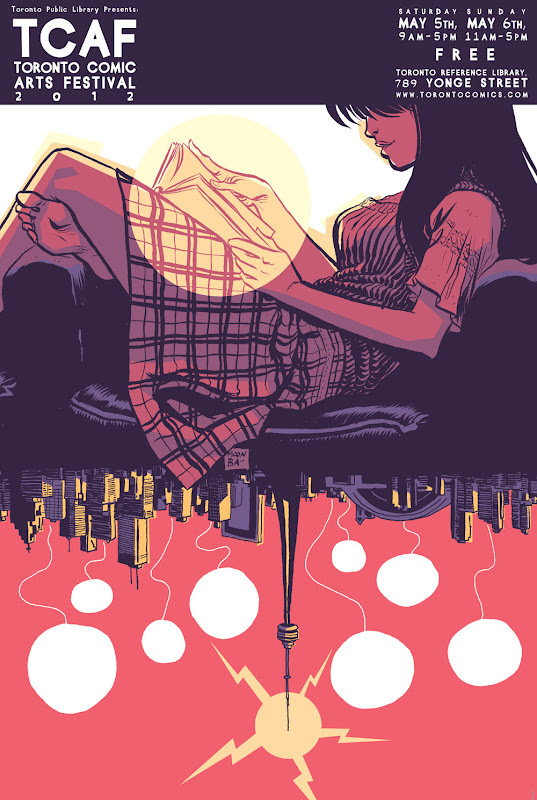 All the better to represent myself at the 2012 Toronto Comic Arts Festival, May 5th and 6th. 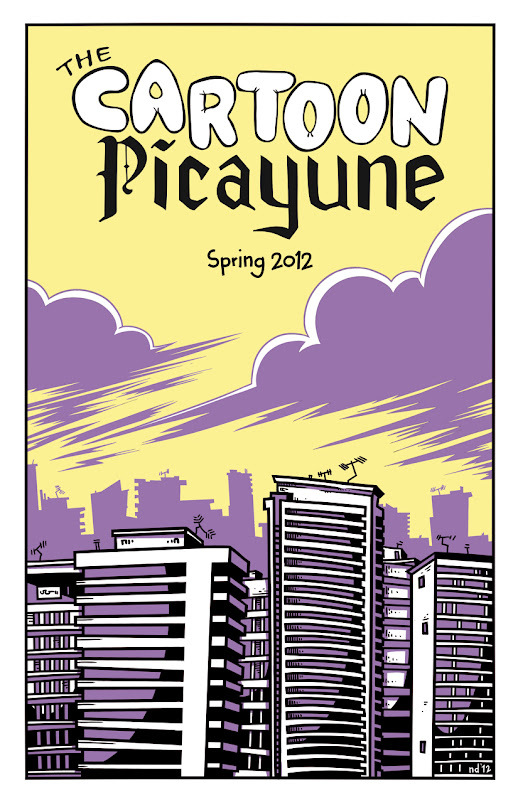 I'll be debuting the third issue of The Cartoon Picayune, Spring 2012. Each story is set in a city and I think it's going to be a really good issue. More soon.